Luckily, there are plenty of attorneys with a brilliant lawyer career that are ready to procure the best for you and help you prove your innocence if you have been accused of any felony. Find state attorneys, family law solicitors, litigation lawyers, criminal attorneys and many more among the Infoisinfo list of the best lawyers in Islamabad Capital Territory Province. At Infoisinfo we always work hard to be able to provide you with the most useful information possible so that you can easily find the best products and services for you or your company in Islamabad Capital Territory Province. We care about you and your business and to guarantee that your legal rights are respected, we want to inform you about the legal aid you can obtain in $S_LOCAITY. Thus, we have prepared a list of the best lawyers in Islamabad Capital Territory Province for you to choose the solicitor that better meets your needs. Office #13, Basement, Rehmat Center, I-8 Markaz, Islamabad, Pakistan., I-8. Islamabad. Islamabad Capital Territory. 70-E, AA Plaza, Blue Area. Islamabad. Islamabad Capital Territory. 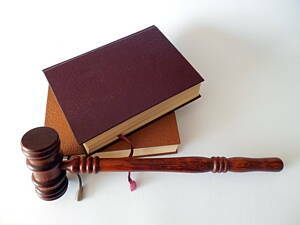 Company is working in Legal services, Lawyers business activities. HAIDER LAW ASSOCIATES is located in 70-E, Islamabad, Blue Area, AA Plaza, Pakistan. House No.87, Street No.50, Sector F-11/3. Islamabad. Islamabad Capital Territory. 212-B, Street 19, Service Road West, G-10/2. Islamabad. Islamabad Capital Territory. House No.538, Street-46, Sector G-10/4. Islamabad. Islamabad Capital Territory.